Following up on last week’s CES 2017 Trends Roundup, we wanted to share five products that we saw that we are really excited to watch in 2017! Occly Occly is a wearable personal safety device specifically designed to be a visual deterrent. It can be worn on the body or clipped to an accessory. Occly is armed with a panic button, four cameras that provide nearly 360 degrees of coverage, sirens, a microphone, LED lighting, wireless capabilities, and a number of automatic alarm sensors. Shield The NVIDIA Shield is a media streaming device, similar to an Apple TV or Chromecast that allows gaming, apps, and home control in one. It also touts support for Google Home. Flow FLOW is a smart, connected mobile accessory to track, monitor and reduce your exposure to air pollution – indoors, outdoors and on the go. Sparrow Sense SPARROW is a wearable environmental health and safety monitor that measures Carbon Monoxide (CO), along with temperature, pressure and relative humidity. It can be attached to your smartphone case, clothes, bag, purse, stroller, bike, and even placed in your car. Solpad Solpad’s have redesigned the solar panel, integrating batteries into the panel itself, and added software and hardware to integrate it with smart homes and a mobile app. Integrating the batteries into the panels could potentially cut installation costs in half. Very much like last year, the halls of CES 2017 were packed to the brim with smart home technology. Now although there were a few new products, the majority of vendors mainly showed off upgraded versions of their lights, lock, security cameras, switches and other smart home hardware. It seems the major smart home announcements at CES 2017 were about new integrations between existing products. This trend is a big win for the industry and consumers who are currently dealing with a fragmented user experience. For the second year in a row, Amazon’s personal voice assistant has dominated the floors of CES. Without being present in any formal capacity, the personal assistant seemed to be absolutely everywhere. Most impressively, Alexa has broken free from just being a smart home product and is now showing up in nearly all industries at CES. Vendors are building their products with Alexa built in, negating the need for consumers to even own an Amazon Echo. For example, both Ford and Volkswagon announced that the virtual assistant will be coming to their connected cars to allow search, shopping, and smart home control while driving. Chinese mobile phone manufacturer Huawei is launching an android phone that will prominently feature Alexa. 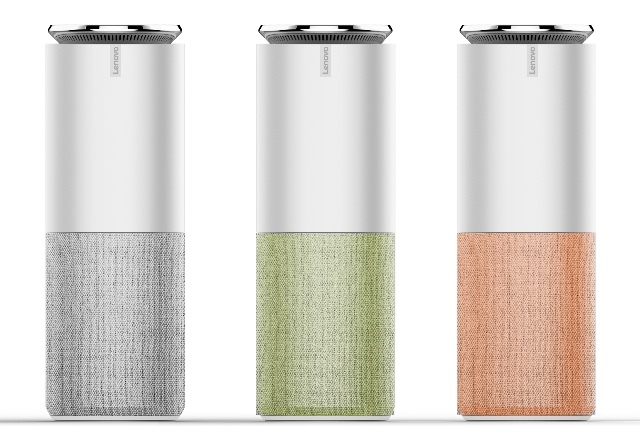 Lenovo has created two versions of their own personal assistant that has Alexa built-in . The standard – starting at $129.99, and the Harmon Kardon Edition, which offers better sound quality, starting at $179.99. (very comparable to the price of an actual amazon echo). The number of applications (or skills) available in Amazon Alexa store is increasing at an incredible rate. With only 1,000 available last June, the store now hosts over 7,000 skills that allow you do to basic things like set timers and alarms, to ordering Uber’s or Lyft’s and checking wait times at airports. While Apple Homekit seems to currently to be losing the integrations “arms race”, CES 2017 was still full of vendors announcing their HomeKit Enabled Devices. Integrations with Apple take longer for third party vendors as there is a strict set of hardware and software requirements Apple imposes before it will certify a product as HomeKit compatible. Lutron, one of the more established Smart Home Vendors in the industry has announced new integrations with Samsung SmartThings and additional features with Nest. With SmartThings you will now be able to control your Lutron switches and shades alongside other compatible products from within the SmartThings mobile app. That’ll let you use things like Z-wave and ZigBee motion detectors to trigger your Lutron gear. This communication is not native to the Lutron Platform however and will require you to purchase an additional piece of hardware that works as a translating device. This hardware should be available early this year. Lutron is has also added additional functionality to its Nest integrations. Previously, you were already able to trigger Lutron gear based on communications from the Google Company’s Learning Thermostat and Protect Smoke detector. Now they have also added Nest Cam support which is a great benefit to be able to control your indoor/outdoor lighting based on motion detected on your cameras. Being the new comer to this space, Google’s personal assistant platform remained relatively quiet this year with only a few announcements. Besides integrating with the familiar Belkin Wemo line, Google also announced partnership with another new comer to the space, the Nvidia Shield/Spot, a media streaming device with built in AI and smart home integrations. As they open up more of their API and hardware vendors have more time to integrate, I imagine Google Home will be the one to watch at CES 2018. All of these integrations show a maturing smart home industry, a welcome improvement over the fragmented marketplace that existed just a year ago. The fact that consumers will no longer necessarily be silo’d into smart home walled gardens should allow greater adoption of these devices. To learn more about CRT’s CES trip, please follow us on Facebook as we discuss our findings live on Friday afternoon. Please make sure to check back here as well next week for part two of this series, where I share the products that I am most excited about for 2017.